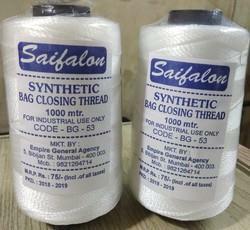 Pioneers in the industry, we offer pp bag closing threads 1000m, threadlon bag closing threads 2000m da3 840/single, pp bag closing thread 1000m and pp bag closing threads 2000m from India. We are an accomplished organization which has gained name and fame in providing PP Bag Closing Threads 1000m to the customers. This is designed in various types to suit the varied requirements of the clients. These are available in different colors. Also, this is used for gunny bag, cement bags, rice bags and sugar bags stitching. As a customer focused organization of the industry, we are offering a large array of Bag Closing Threads 2000m to our valuable customers. These products are designed using the high-quality raw material and advanced machinery. 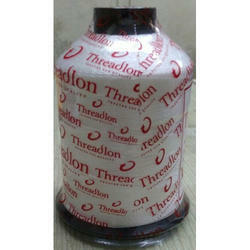 Additionally, these threads are offered in white, red, green and blue colors. Looking for PP Bag Closing Threads ?